The United Nations Volunteers recently published a guidance note titled: Drafting and Implementing Volunteerism Laws and Policies. I came across it because I am interested in knowing more about volunteering and the cross sections of international and domestic volunteers. My favorite quote was “Achieving the MDGs by 2015 is a task for everyone, and voluntary action will be critical.” This quote emphasizes the importance of global engagement. We all have responsibility. Some of the countries mentioned included Macedonia, South Africa, Burkina Faso, United States, and Pakistan. The paper also briefly touched on the culture of volunteerism. Ever Thought of Volunteering in Coral Reef Conservation? One of the opportunities I had while in Thailand recently was to go with some Projects Abroad conservation volunteers on a reef dive. These volunteers work on projects like mangroove reforestation, beach clean up and reef conservation. The day I went scuba diving with them there were two groups. One group was composed of newer volunteers taking the first steps in conservation like learning about identifying coral and other life under the water. The second more experienced group was working on a reef nursery to help rebuild part of a reef that has experienced a lot of damage. I had a great experience diving with the volunteers. We may not have seen the most beautiful parts of the reef but for anyone who enjoys diving, conservation should be a big issue. 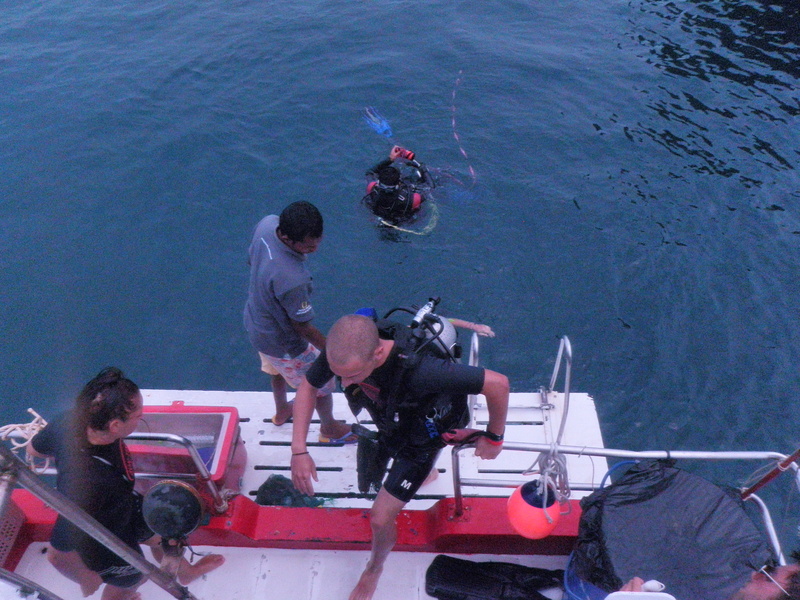 The experience had me wishing that more aspects of conservation could be incorporated into diving and tourism.